Remaining agile, versatile and flexible are all part and parcel of being a small business. As such, services such as Voice over Internet Protocol (VoIP) are increasingly being used by small businesses. But what is VoIP and is it right for your business? Here's a list of the advantages and disadvantages of VoIP for small businesses. VoIP is a technology that allows voice calls to be made using an existing internet connection, rather than a phone line. Many businesses are moving over to this protocol, owing to its reliability and cost-effectiveness, as well as other notable benefits. As a business owner, you may also find that there are certain benefits in using the protocol. We'll take a look at some of the advantages and disadvantages of using a VoIP phone system. You can learn more about VoIP on our website. Long gone are days of just being available in the office. Today, clients expect you to be available 24-7. VoIP allows you to be contacted from any location as long as you have an internet connection. This includes, trains, tubes, offices, and the great outdoors – in fact any location that has internet access. Think of the opportunities for business, compared to the limitations that traditional phone lines and mobile phones offer. The ability to be present, even when you're out of the office, is one of the most notable advantages of VoIP over traditional telephony. If you're starting up and can't afford a PA or receptionist to take calls, this is also a great solution to consider. We all know the importance of communicating with suppliers and clients, and a quick phone call is often the most convenient way to stay in touch. 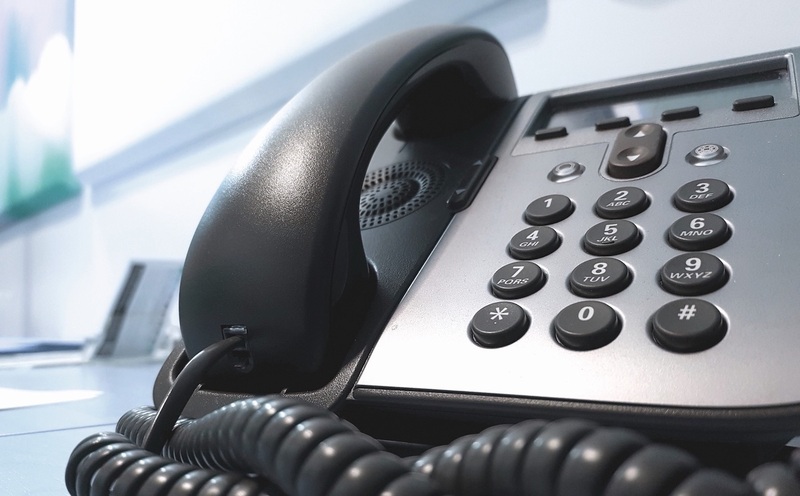 On the whole, one of the advantages of VoIP for business is that calls from a VoIP telephone system tend to be cheaper than a traditional phone system. There's also the benefit of being able to make and receive calls anywhere in the world at no extra cost. That means no more expensive roaming fees! Using the internet to make and receive calls can be far clearer than relying on a telephone line. There's less interference and the clarity of audio is impressive. You also don't have to rely on a phone signal, an issue that many business owners find when they're on-the-go, trying to connect to a mobile network, particularly when abroad. It's a given that most companies have internet access. This being the case, you won't incur any extra costs. However, if you don't have internet access – you will need to factor this cost in when using VoIP. A small disadvantage of VoIP is that you are reliant on a good internet connection. That said, most service providers today have robust lines, and it's uncommon for internet access to go down. However, if it does, you will not be able to make VoIP calls until that connection is restored. That of course doesn't stop you from using an alternate internet connection, such as a coffee shop. A notable advantage of VoIP communication is that you don't need any special software to use it. You can ether use a traditional office phone, or download a software app on your computer, mobile or tablet device. This can be particularly helpful if your battery dies on one device, allowing you to use another to connect. Dial 9 has its own free VoIP app, which is compatible with both Android and iOS devices. And finally, one of the greatest advantages of a VoIP phone system is the cost-savings you can benefit from. Since all you need is an internet connection, this tends to be a cheaper long-term solution to making phone calls. This is a huge advantage for companies that work on an international level too. VoIP is a robust and cost-effective solution for small business owners. Its rise in popularity is testament to its user-friendly appeal, making it easier than ever to connect with the people that matter most to your business. Interested in moving to VoIP? We'd recommend having a read of a few of the following articles. What's the cheapest way to get a landline?